With over 25 years of experience in the Corporate Production field, Mike Mankovich had been a key part of some of the top corporate and fundraising events in the world. His list of extremely happy clients include PNC bank, Heinz, The American Heart Association, UAW Ford, Chrysler/Jeep, Lincoln/Mercury, The Pittsburgh Steelers, Pirates and Penguins, Carnegie Mellon University, Robert Morris, University of Pittsburgh, Duquesne University, CBS, FOX, UPMC, Microsoft, and Children’s Hospital to name just a few. 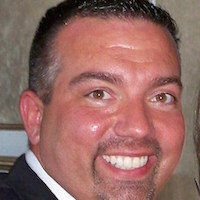 Mike has spearheaded major AV departments for five star resorts and has opened offices all over the world. Whether it is a small one screen projector rental or a massive international project, Mike gives the same outstanding customer service and attention to detail.